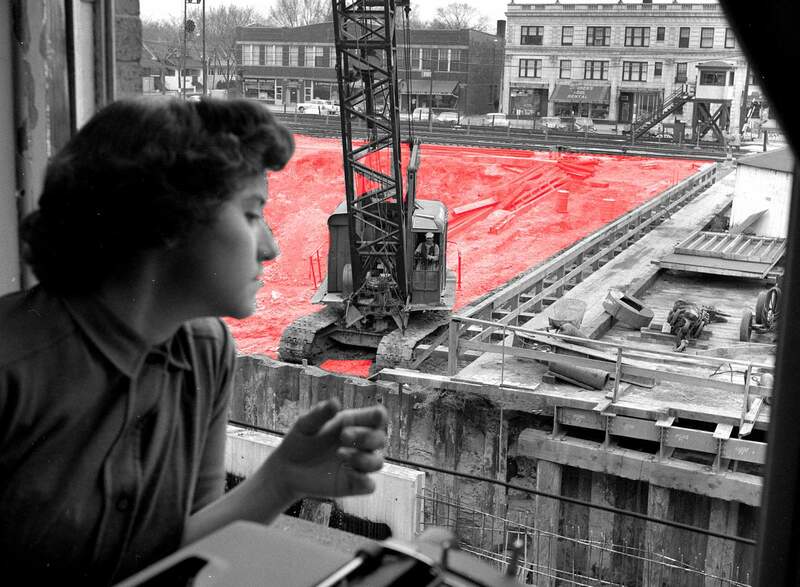 Displaced: When the Eisenhower Expressway Moved in, Who Was Forced Out? If you live in Chicago and you drive a car, you’ve probably been stuck in traffic on the Eisenhower Expressway. Oak Park resident Jillian Zarlenga sure has. “I spent a great deal of time on the Eisenhower inching towards the Harlem Avenue exit,” she says. It’s a good question, and it gets even better when you add up some of the basic details surrounding the Eisenhower (or the Ike, or I-290, if you’re so inclined), which runs almost due west from Chicago’s Loop out to Oak Park and beyond. For example, the Eisenhower — built between 1949 and 1961 at a cost of $183 million — displaced an estimated 13,000 people and forced out more than 400 businesses in Chicago alone. Who were these people, indeed? 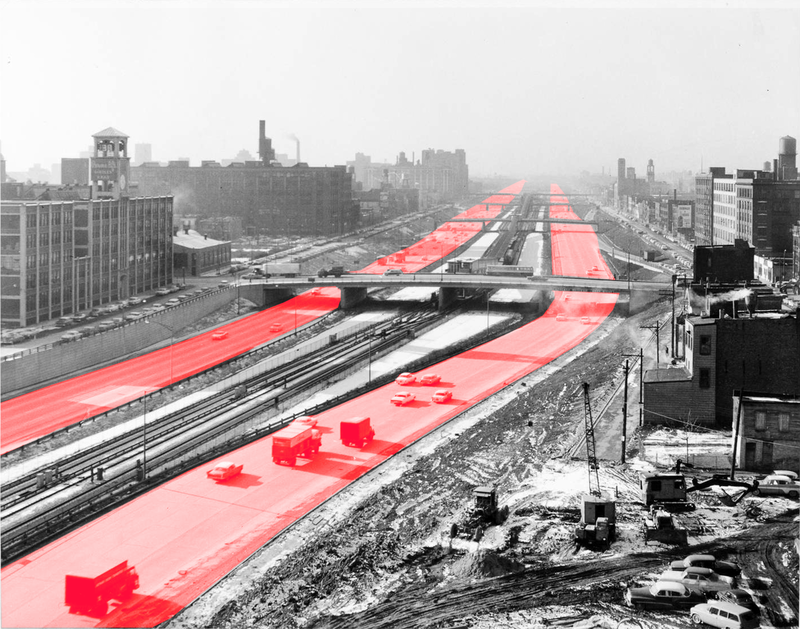 And, another reason to look at the Ike: It was the first superhighway in the heart of Chicago. 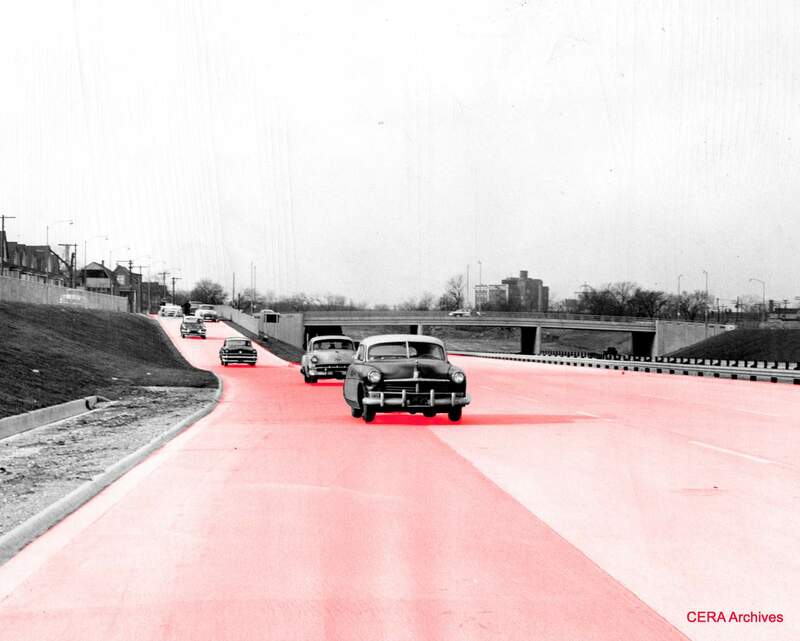 However, by the 1960s — after more expressways were built, more neighborhoods were torn up, and traffic stayed as terrible as it was before — grassroots groups began fighting against these projects and even managed to kill one off. 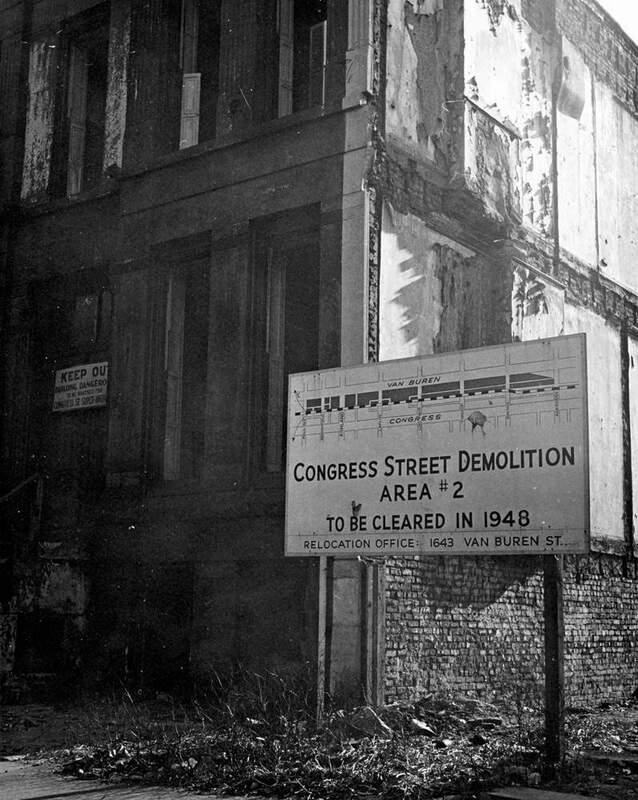 It’s difficult to pinpoint data about precisely where the people displaced by the Eisenhower’s construction ended up. No one tracked their whereabouts. But we do have an answer for Jillian. After talking with historians and people who lived through the upheaval, a picture emerges of how the expressway reshaped the Chicago region, scattered some of the city’s ethnic communities and forever changed many lives. That picture’s best consumed in parts. We’ll move east to west along the Ike. But first, why was the Eisenhower built at all? 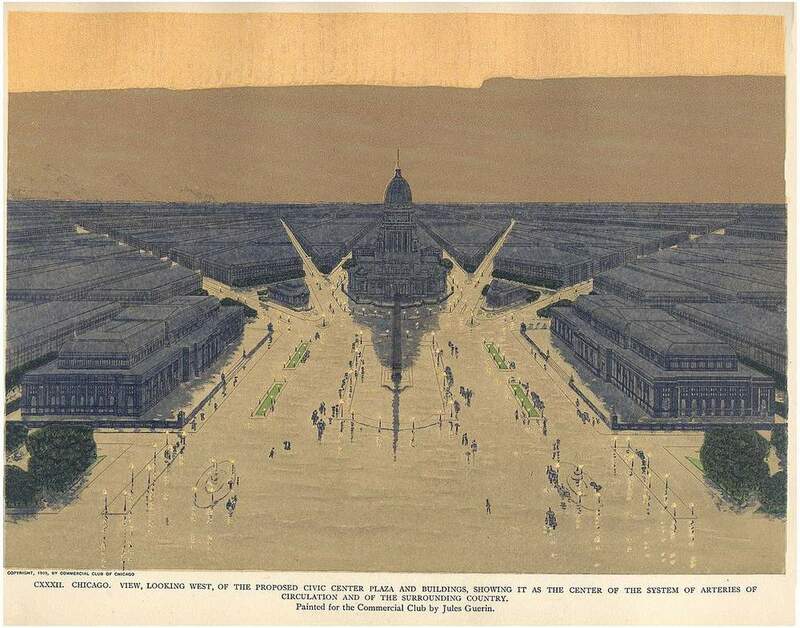 The interstate highway system didn’t exist yet, but planners across the country envisioned superhighways without any stop signs or traffic lights to slow down cars. 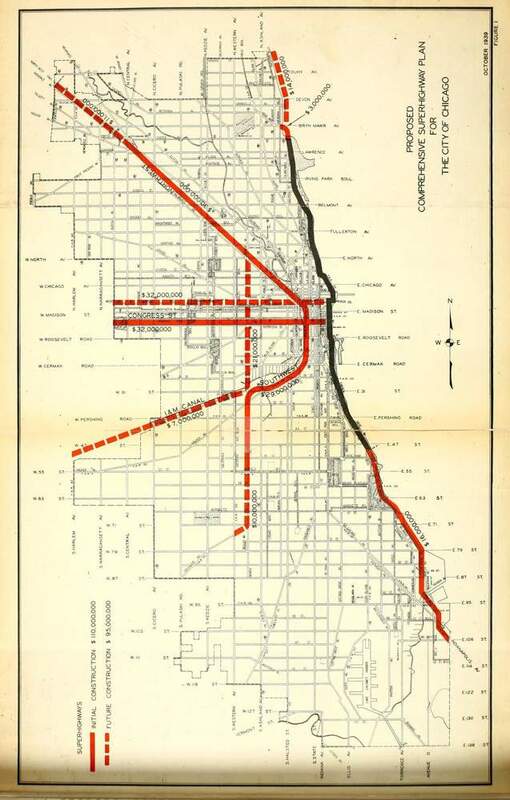 In 1940, the Chicago City Council approved plans for a local system of superhighways. Traffic was worst on the West Side, Spatz says, so that’s where the highway builders started first. They chose to follow the path of Congress Street. Of all the neighborhoods that the expressway sliced through, the Near West Side had the largest population of blacks in 1950. Nearly 40 percent of its people were African-American. O’Neil was 8 years old when the wrecking balls arrived in 1949. “Little by little the buildings came down,” he says. 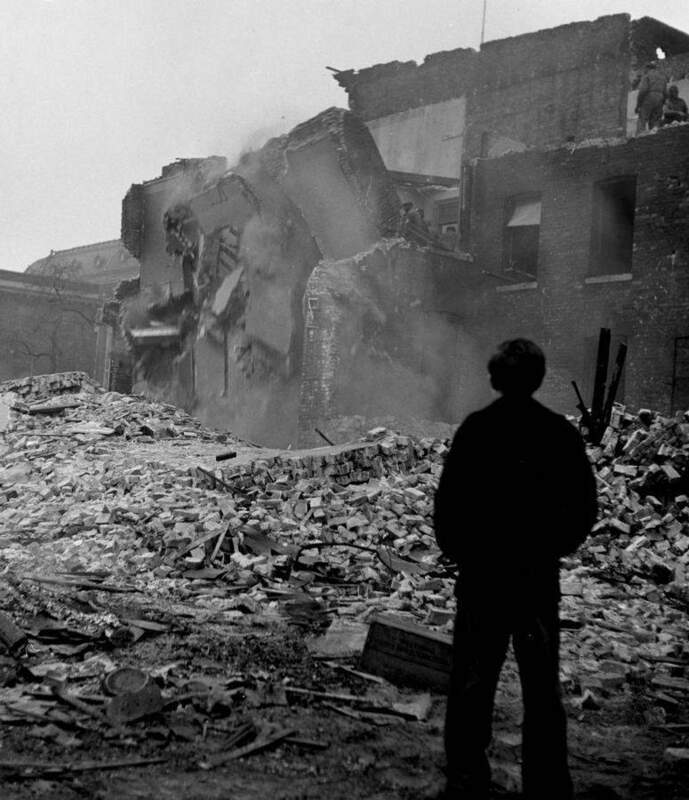 “I have these vivid memories of these piles of rubble. Our building was the last one. My sister and I used to go out and play in the rubble. … There would be these piles of beams that would be burning.” He says it looked like the aftermath of a World War II bombing. Drag the slider left and right to view what was demolished. Jim O’Neil’s family moved to Chicago’s South Side and he lost touch with everyone he’d known in the old neighborhood. The city ran relocation offices to help people move, but that wasn’t always an easy task. The country was in the midst of a housing shortage in the years after World War II. Some people whose homes were demolished on the Near West Side “were glad to find newer and better surroundings, but the housing shortage has made it a tough job,” the Tribune reported. Some people followed their ethnic groups to different enclaves around the city and suburbs. 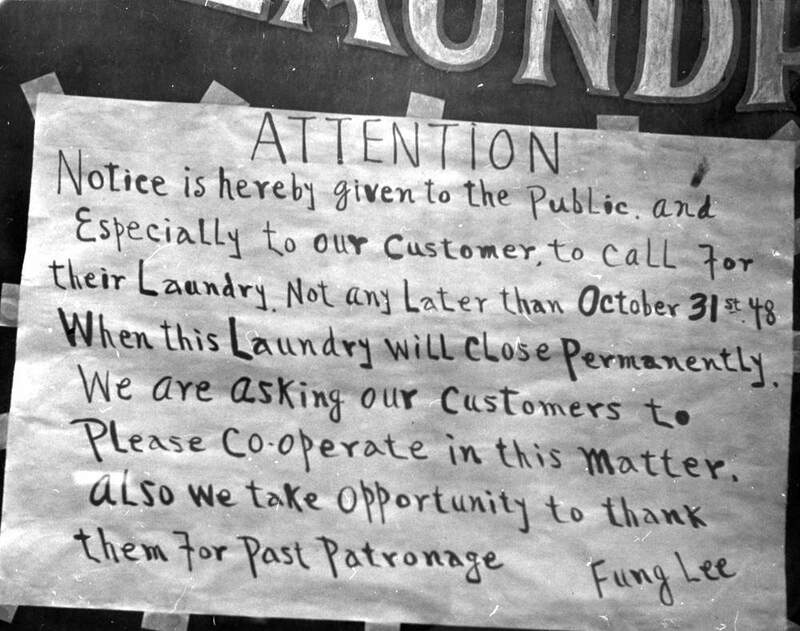 For example, Mexican-Americans on the Near West Side ended up in Pilsen and Little Village. The people displaced by the expressway included residents of the Near West Side’s Greektown and Little Italy sections. Their father was forced to close his business around 1959, and the family moved near North and Harlem avenues. “It broke his heart to move out of there, because it was his life,” Harry says. 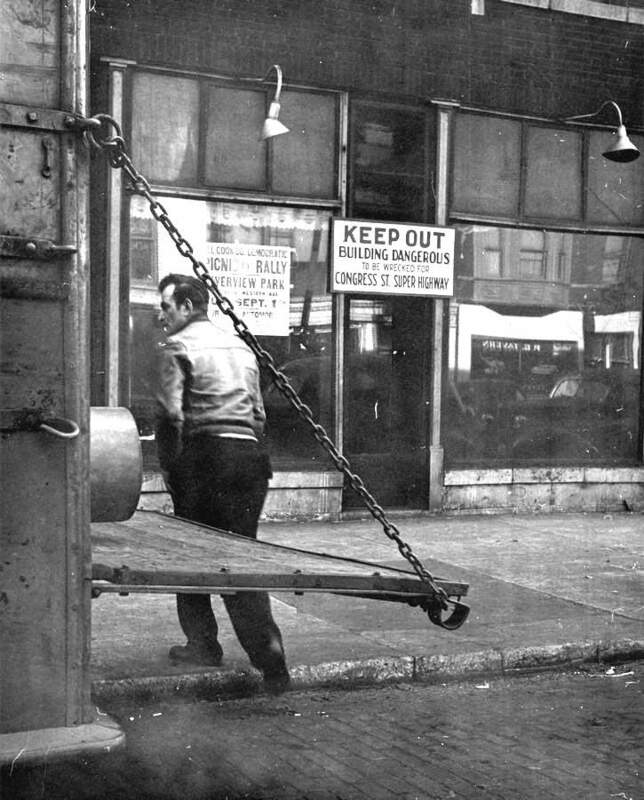 Greektown’s surviving businesses shifted north of where they had been. “As far as the residential part of it, pretty much all of the people had scattered to different parts of the city,” Harry says. 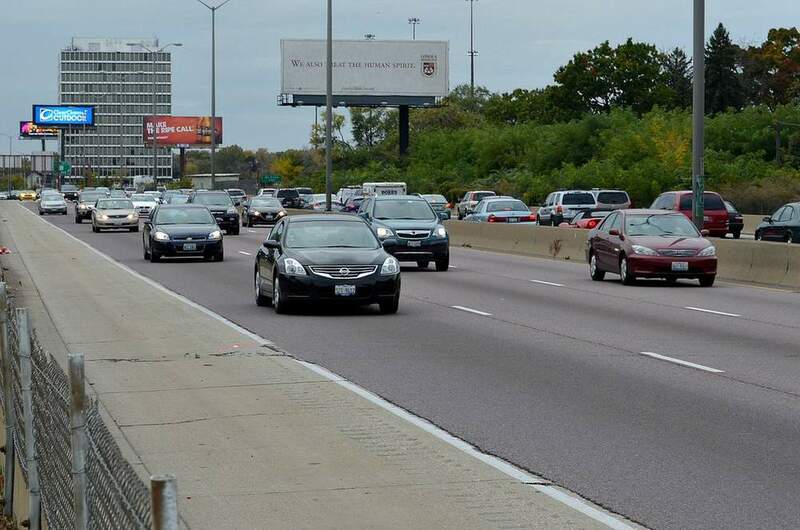 The expressway project continued to the west, disrupting the East Garfield Park, West Garfield Park and Austin neighborhoods. 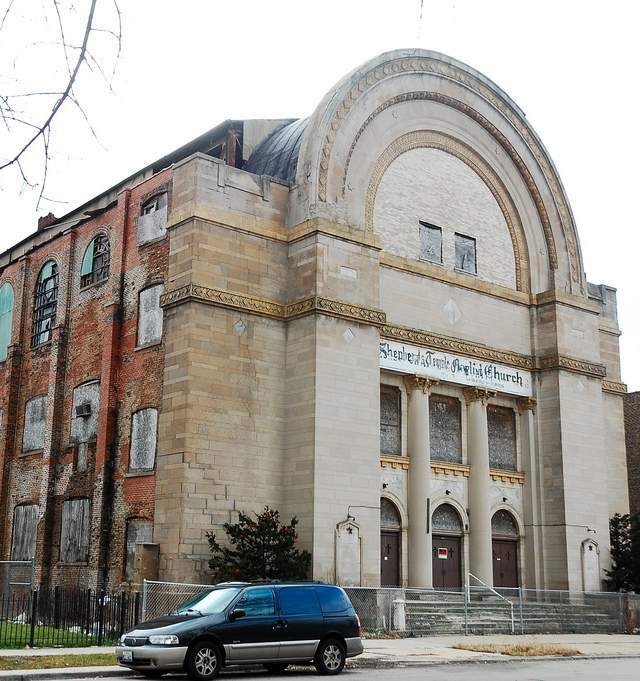 It ran through a predominantly Jewish neighborhood in West Garfield Park. 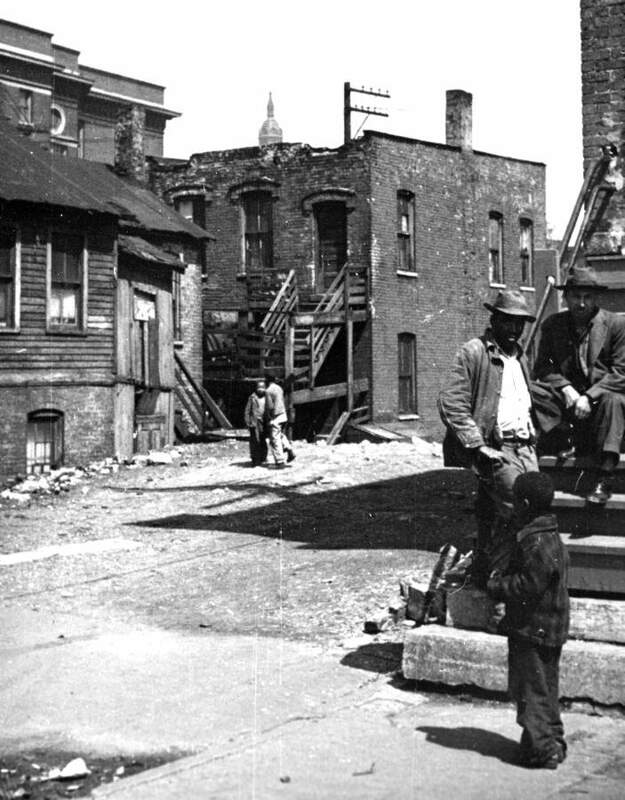 “Its construction was a physical manifestation of Jewish Chicagoans’ political powerlessness,” historian Beryl Satter writes in her 2009 book Family Properties: Race, Real Estate, and the Exploitation of Black Urban America. Satter’s father was a civil-rights attorney who crusaded for black families victimized by real-estate speculators. "The walk to the newsstand for the Sunday morning paper? Forget it. The baker? Out of business." "Organized hoodlums, vandals, morons and just ordinary scavengers loot the vacant buildings that are to be wrecked to make way for the Congress St. highway in broad daylight as well as at night time. The abundance of prowlers and other undesirable characters in the neighborhood has made residents, especially women, afraid to go out at night. Many of the buildings are used as ‘lover’s nests,’ residents reported." The Satters moved out in 1956, heading to the South Side. 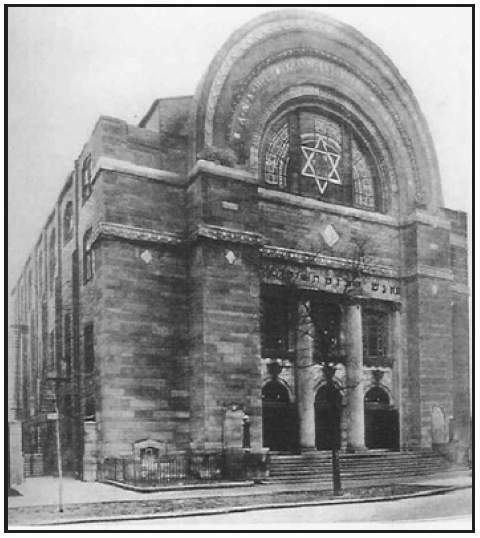 Many of their neighbors moved north to other Jewish enclaves — including West Rogers Park along Devon Avenue. 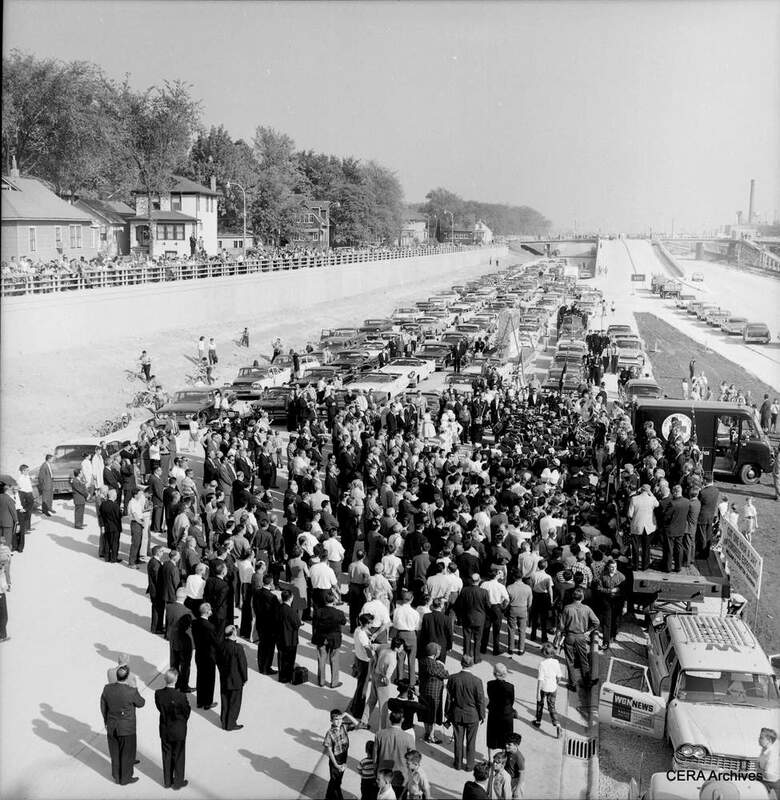 The city’s portion of the expressway was complete in 1956, but Cook County and the state continued building the road through the suburbs. 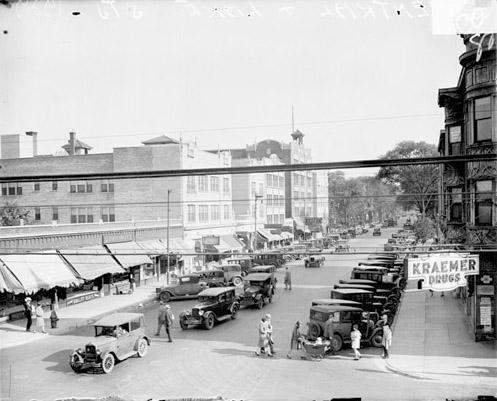 Unlike Chicago neighborhoods, the village of Oak Park actually fought to change the highway plans. Oak Parkers opposed building exit and entrance ramps from the expressway’s right lanes — where they normally go. They were against the standard clover-leaf-style ramps because those take up more land along the side of the expressway. And that would have meant tearing down more buildings. 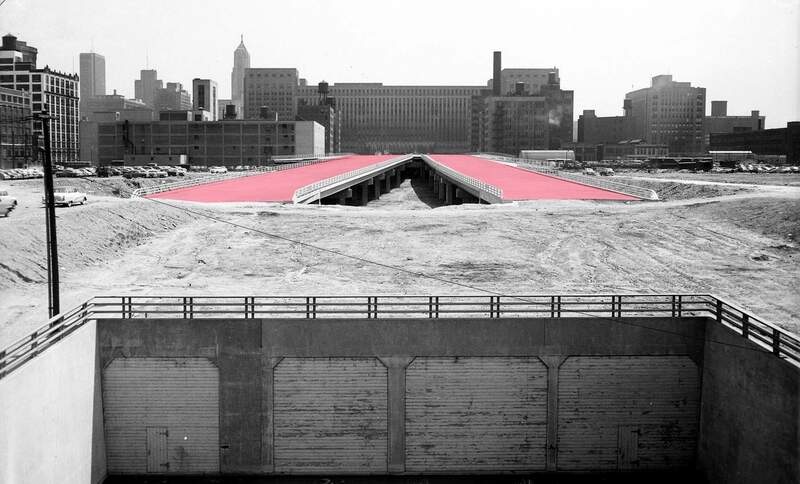 As a result of these protests, the highway builders put the ramps on the left side — in the middle of the expressway — at Austin Avenue and Harlem Boulevard. That unusual configuration is something that “a lot of people still complain about today,” says Frank Lipo, executive director of the Historical Society of Oak Park and River Forest. "It was five years of hell, to put it very bluntly." Oak Park also stopped plans to build another interchange at either East Avenue or Ridgeland. In spite of Oak Park’s efforts to minimize destruction, about a hundred buildings were demolished in the village. Several buildings were moved to new locations. Lipo says some of the displaced people found new homes elsewhere in Oak Park. 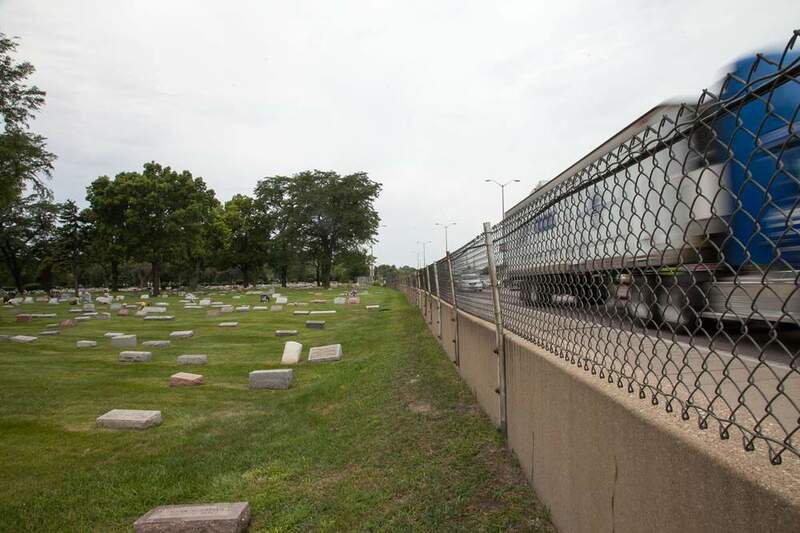 In nearby Forest Park, about 3,500 graves had to be moved at the Forest Home and Concordia cemeteries to make way for the expressway, delaying construction and pushing up costs. Planners talked about elevating the highway above the graveyards, but decided that would be too expensive. Many of the bodies moved at Forest Home were victims of the 1918 influenza pandemic. Was the highway a factor in white flight? So far, we’ve answered Jillian’s question about displacement by the Eisenhower in the context of the road’s construction. The 13,000 or so people who left Chicago, however, were followed by many other residents in the years that followed — enough people that the neighborhoods’ compositions were transformed quickly. Between the start of construction in the early ‘50s and the close of the decade, the Chicago neighborhoods surrounding the expressway changed from 18.8 percent to 32.2 percent black. By 1970, this area was 64 percent black. The number of non-black residents in this area — mostly whites — plummeted from 333,716 in 1950 to 110,725 in 1970. Meanwhile, the number of black residents jumped from 77,360 to 196,482. The most drastic change happened in West Garfield Park, which flipped from 0.05 percent black in 1950 to 97.98 percent black in 1970. Did the presence of the expressway — or the demolition that cleared the way for it — have anything to do with these population changes? “I was not convinced that it had a role in the process of racial transformation on the West Side,” says historian Amanda Seligman, who wrote the 2005 book Block by Block: Neighborhoods and Public Policy on Chicago’s West Side. And David Satter believes the expressway was a major factor in why so many Jewish residents and other whites abandoned the West Side, just as many African-Americans began to move in. “It played a very important role,” he says. “The building of the Eisenhower Expressway with so little concern for the effect it would have on the community … it undercut any desire or any will to find solutions, to find ways to integrate the new arrivals. It was clear that the area was not going to stay all white. But that didn’t mean there had to be this mass white flight that took place. It didn’t mean that the whole community would have to move from the West Side to the North Side, which is pretty much what happened. 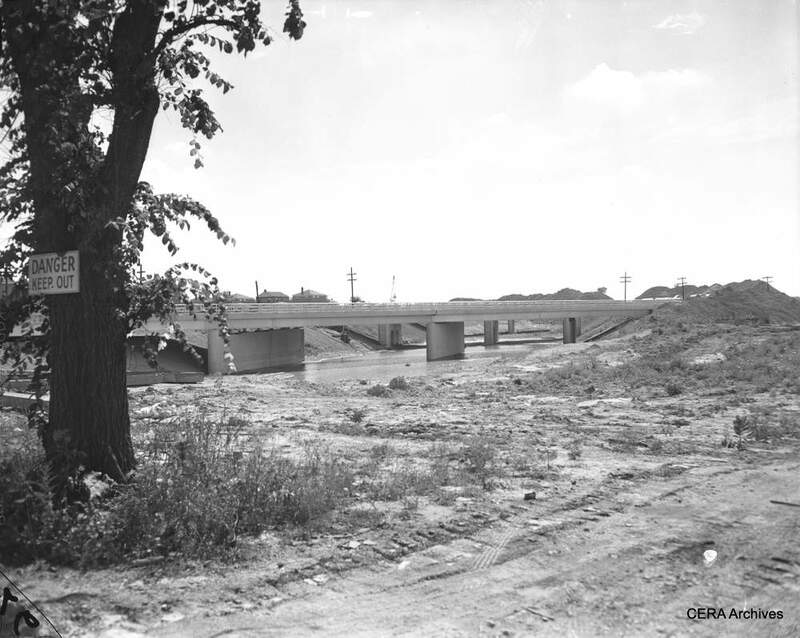 On Jan. 10, 1964, the Chicago City Council renamed the Congress Expressway after former President Dwight D. Eisenhower. And so, the highway’s name honors the president who’d proposed the interstate system in 1955. As Chicago built more expressways — the Kennedy, the Dan Ryan, the Stevenson — people stopped being so complacent. They complained against demolition and displacement. 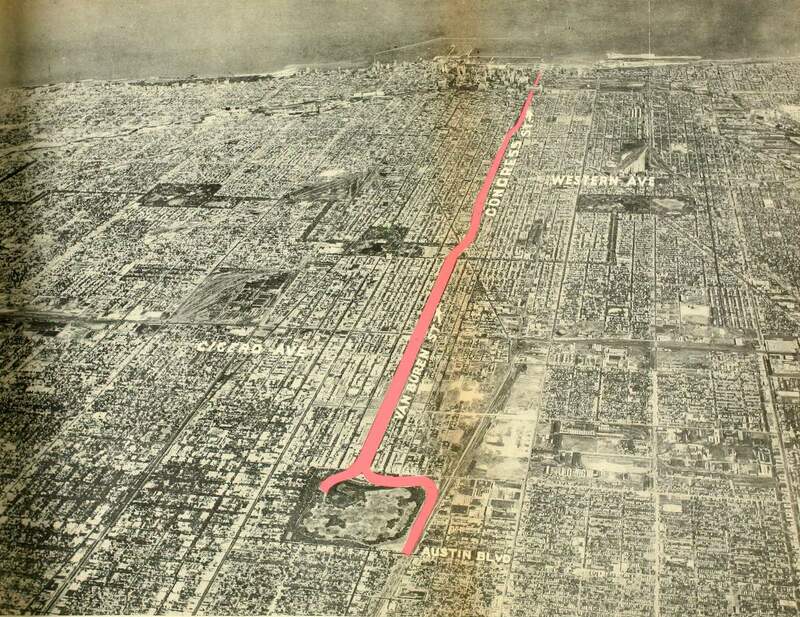 Protests were one reason why another highway never got built — the Crosstown Expressway, which would have followed a north-south route near Cicero Avenue. "The destruction of neighborhoods by the construction of the inner-city expressways sent many people to the suburbs forever. 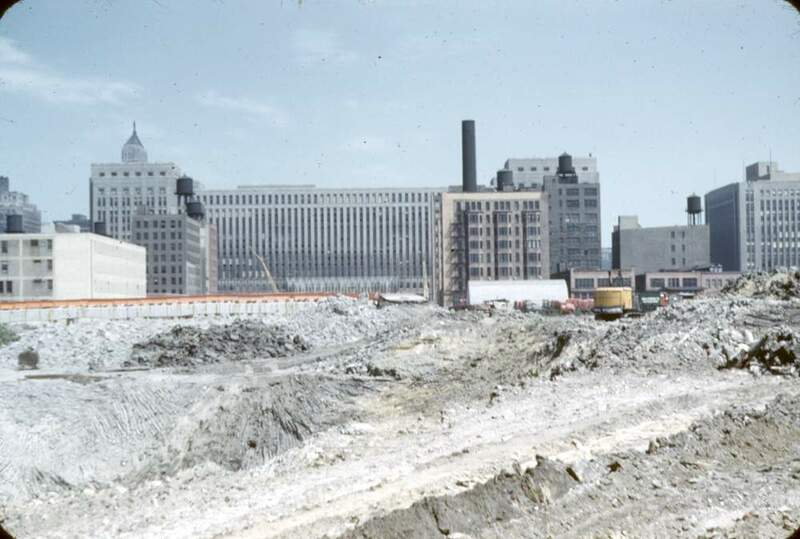 Construction of the Eisenhower Expressway, for example, destroyed long-established, flourishing, seemingly permanent Italian and Jewish communities on the West Side, robbing the city of part of its ethnic diversity. The interstates also sped the loss of business and industry from the central cities because they were either displaced by the construction or lured away by the new business opportunities offered elsewhere by the expanded highway network." The Rev. 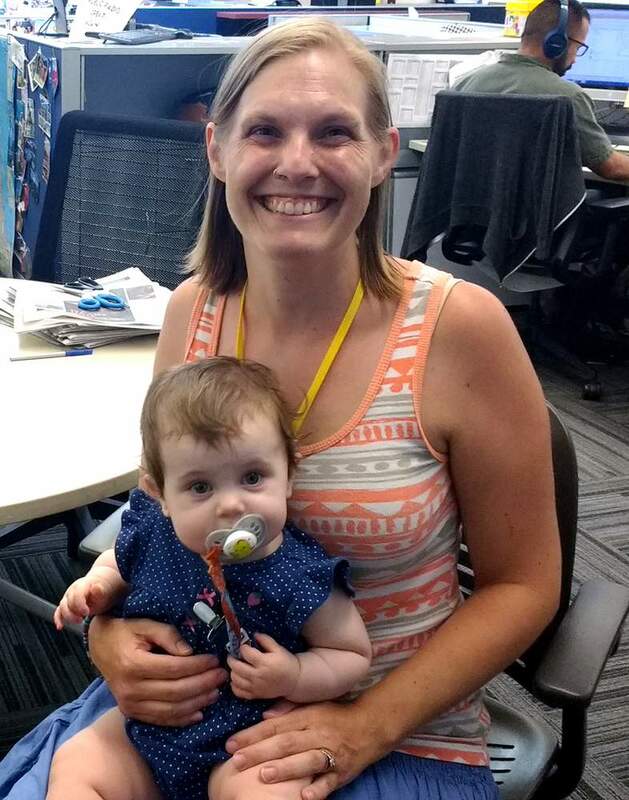 Jillian Zarlenga grew up in DuPage County and lives now in Oak Park. An ordained minister, she has worked as a United Church of Christ chaplain at Elmhurst Hospital and other hospitals, but she’s currently a stay-at-home mom, taking care of her 11-month-old daughter Rory — who joined Jillian during her recent visit to the WBEZ studios at Navy Pier, where Jillian listened in on our interview with historian David Spatz. Jillian says she was fascinated by what she heard, but sounds eager to continue looking into the question. “I want to know so much more,” she says. As it happens, her great-grandparents are buried at Forest Home Cemetery, one of the graveyards where some bodies were displaced by the construction of the Ike.